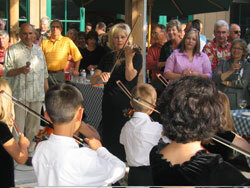 Lori Franke is the Founder and Director of South Valley Suzuki String Academy, a private business, and President of the South Valley Suzuki Music Foundation, a non-profit organization. With a B.A. 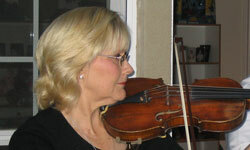 degree in Elementary Education from Brigham Young University and a double Minor in German and Music, Lori had the privilege of studying directly under Dr. Shinichi Suzuki in Japan and has been teaching Suzuki violin for over 34 years. 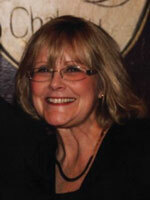 Lori lives in Gilroy with her husband, a Master Piano Builder, is the mother of five, and grandmother of five.